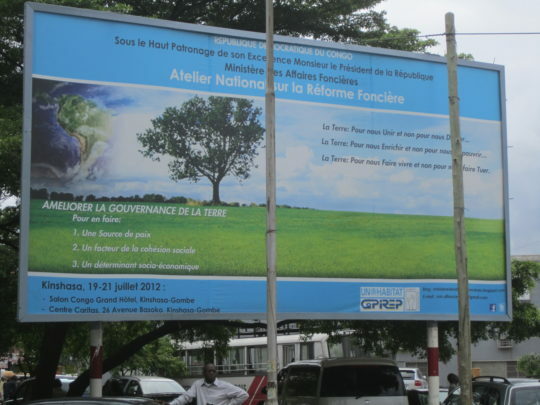 DR. Congo is undertaking a land reform with UN-Habitat support, Kinshasa. 2012 © UN-Habitat/A.Padros. For the first time in the history of development, as UN-Habitat’s Director General, Joan Clos and Eduardo López Moreno, Director of Research and Capacity Development, point out, urbanization is considered a developmental tool and a driver for economic and social prosperity. By getting urban development right, cities can create jobs, improve social inclusion and protect local ecosystems. The New Urban Agenda was presented at the Sustainable Urbanism: New Directions workshop, Qatar University, 21 March 2016, by Dr. Eduardo López Moreno, Director of Research and Capacity Development, UN-Habitat. Dr. Joan Clos, Executive Director, UN-Habitat. Dr. Eduardo López Moreno, Director of Research and Capacity Development, UN-Habitat. We are in a new stage of human history where most of the world’s population lives in urban areas. In the early twentieth century, only 20% of the population lived in cities. Today this figure has doubled, exceeding 55%, and predictions for the next 30 years suggest that it will rise to 70%. Nine hundred million people lived in urban areas in the early twentieth century compared to the current 3.5 billion, and this figure may reach 7 billion by 2050. With these global changes, it is not surprising that the issue of urbanization has become a major trend for the sustainability of our planet. The incessant flow of migrants from rural to urban areas is driven by their very human aspirations for better living conditions and working opportunities. This is not surprising when we consider that cities now, with 55% of the global population living in urban areas, contribute with more than 70 % of world GDP and generate 80 % of all new high value-added jobs. At this stage, it is impossible to stop the movement of people into cities and towns. However, it is still possible to plan and design urbanization well. “By getting urban development right, cities can create jobs, improve social inclusion and protect local ecosystems”. The advantages of urbanization are enormous and they can contribute to the solutions to many of the problems the world is facing today, such as unemployment, pollution, social exclusion, and inefficient transport. For the first time in the history of development, Urbanization is considered a tool for development and a driver for economic and social prosperity. By getting urban development right, cities can create jobs, improve social inclusion and protect local ecosystems. What are the conditions that make a city more successful in creating jobs and in fostering creativity, sustaining a virtuous cycle of social and economic improvements? How are we going to achieve economic, social and environmental prosperity when the global population is growing so fast? These issues are the subject of analysis in Habitat III, the UN International Conference on Housing and Sustainable Urban Development that happens every 20 years, and took place in Quito, Ecuador, 17-20 October 2016. Since October 2010, Dr. Joan Clos has been the Executive Director of the United Nations Human Settlements Programme (UN-Habitat) at the level of Undersecretary-General by the United Nations General Assembly since October 2010. Dr. Clos is a medical doctor with a distinguished career in public service and diplomacy. He was twice elected Mayor of Barcelona, serving two terms during the years 1997-2006. He was Minister of Industry, Tourism and Trade of Spain between 2006 and 2008. Prior to joining the United Nations, he served as Spanish ambassador to Turkey and Azerbaijan. 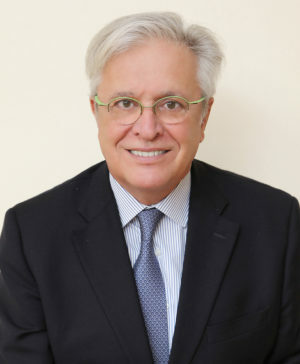 At the international level, Dr. Clos has previously served as President of Metropolis – international network of cities; President of the World Association of Cities and Local Authorities (WACLAC); Chairman of the United Nations Advisory Committee of Local Authorities (UNACLA); and member of the Council of European Municipalities and Regions (CEMR). Dr. Clos has received a number of awards, including a gold medal from the Royal Institute of British Architects in 1999 for transforming Barcelona, and in 2002 he won the UN-Habitat Scroll of Honour Award for encouraging global cooperation between local authorities and the United Nations. 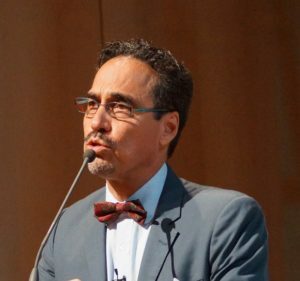 Eduardo López Moreno is the Director of Research and Capacity Development at UN-Habitat, the United Nations Human Settlements Programme headquartered in Nairobi, Kenya. He has over 25 years of academic and professional experience in housing and urban development policies, institutional analysis, global monitoring, and equity and urban poverty issues. Dr. López Moreno was Chief of the State of the World’s Cities from 2008-2012. Prior to this post, he was the Chief of the Global Urban Observatory from 2002-2008, and Senior Technical Adviser in the Bureau of Africa and the Arab States, UN-Habitat (1999-2001). He was also Chief Technical Adviser in Angola for UN-HABITAT (1996-1999). Before joining the United Nations, he was invited professor at the universities of Louvain-la-Neuve (Belgium) and the University of New Mexico (USA). His qualifications include a PhD in urban geography from the University of Paris III-Sorbonne in France and a masters degree in urban sociology in the same University. He also has a BA in Architecture from the University of Guadalajara, Mexico. He has written an extensive number of publications: five books on topics related to social housing, land policies, equity and urban development. Dr. López Moreno is the Task Manager and principal author of the State of the World’s Cities Report 2006/7, 2008/9, 2010/11 and 2012/13, one of the UN-Habitat’s flagship reports. He authored the study Slums of the World: the Face of Urban Poverty in the New Millennium (2003) for UN-Habitat. Recently, he published the book Construcción de ciudades más equitativas: políticas públicas para la inclusión en América Latina co-published with CAF – Development Bank for Latin America (2014). He has received numerous distinctions: among them he was member of the Scientific Panel on Urbanization, University of Columbia. He is also Board Member of the Programme “Global Urban Development”, Prague Institute and member of the Editorial Board of the International Magazine Urban Space, published by IAARA, in Teheran, Iran.